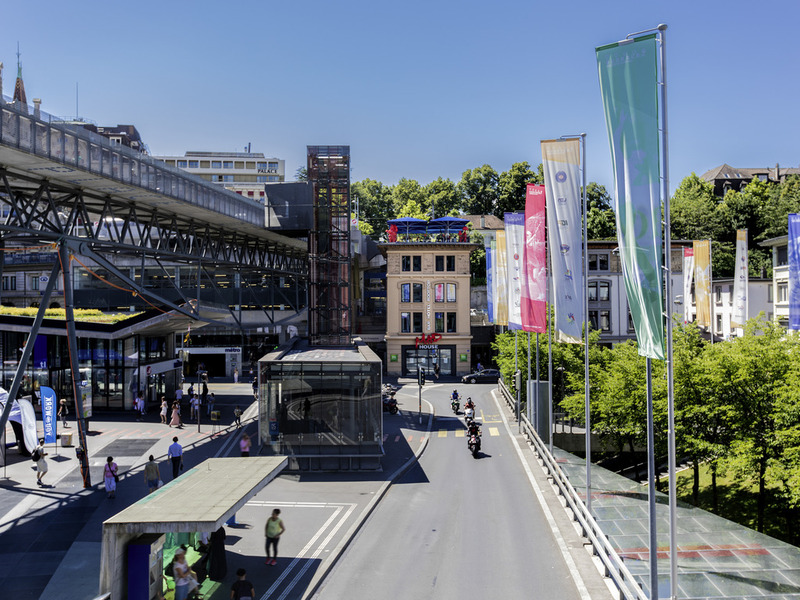 MADHOUSE - The hotel is located in Lausanne's trendy Flon district, where many bars, shops, restaurants, clubs and a multiplex cinema can be found. The hotel will delight lovers of pop culture and design with its musical and arty themes. Experience what i t has to offer as soon as you arrive, from the Mainbar to our Réflexion, Imagine and UrbanArt rooms. And the cherry on top of the cake? A rooftop with a breathtaking view of the city.